We have certainly developed a taste for Negroni - it's just been the idea weather for them and today we thought we do a head to head taste test between Calissano and the Bistrot. A good sign is that the aperitivo plate is improving - the negroni is maintaining a high standard in consistency (between visits) and taste. 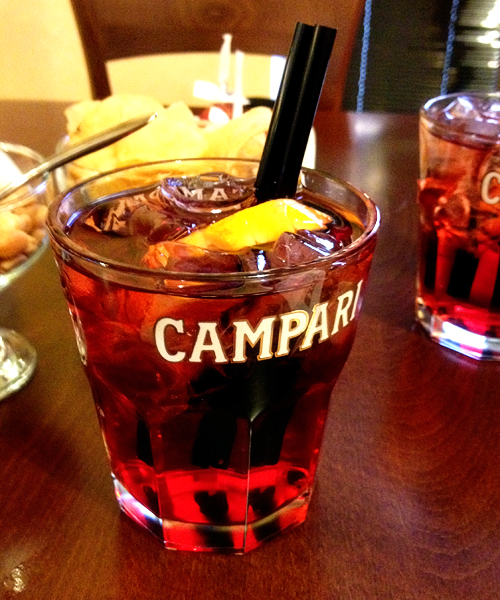 In the head to head for negroni - Caffe Calissano wins.